Research commissioned by Igniyte looks into the real cost of reviews online to businesses in the UK. A 1,000 companies were surveyed to find out how conversations online were impacting on their business financially, but also in terms of their reputation. 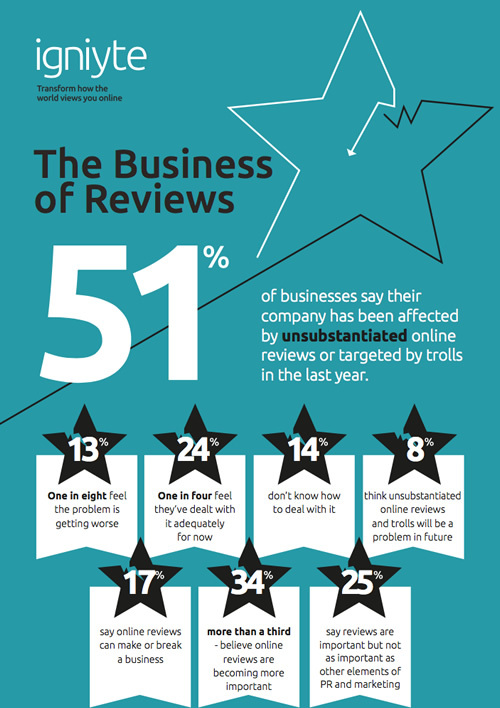 The findings – illustrated here, suggest that unsubstantiated reviews and forum posts, trolling, and malicious comments online are of increasing concern to companies. Alarmingly the cost of dealing with such issues is significant, with nearly a third of companies spending an average of £20,000 per year, and almost a fifth spending in the region of £30,000. Over half (51 per cent) have been directly affected by online content in the last 12 months. Three quarters (75 per cent) believe online reviews, comments and forum posts are ‘extremely’ important to the financial and reputational status of their business. Over three quarters (76 per cent) are concerned about the influence malicious posting on review sites may have on customers. One in six businesses say that ‘malicious’ online reviews have the potential to destroy a business. 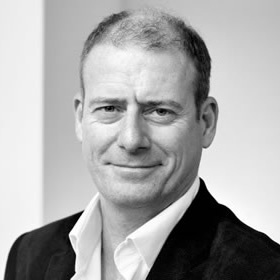 Nearly a fifth (14 per cent) of businesses do not know how to deal with the issue. While another fifth (18 per cent) of businesses are investing heavily trying to resolve the problem. Download a copy of The Business of Reviews infographic free here.